The Stairwell Carollers sing Earth Song, a beautiful contemporary piece written by American composer, Frank Ticheli in 2007. Another favourite of mine to sing, Earth Song holds a message of peace and environmental awareness for our modern age. Audio: Tom Barnes. Recorded at St. Barnabas Church, Ottawa, Ontario, Canada, June 4th, 2016. Pierre Massie started our a cappella choir in 1977 while he was a music student at Ottawa University. 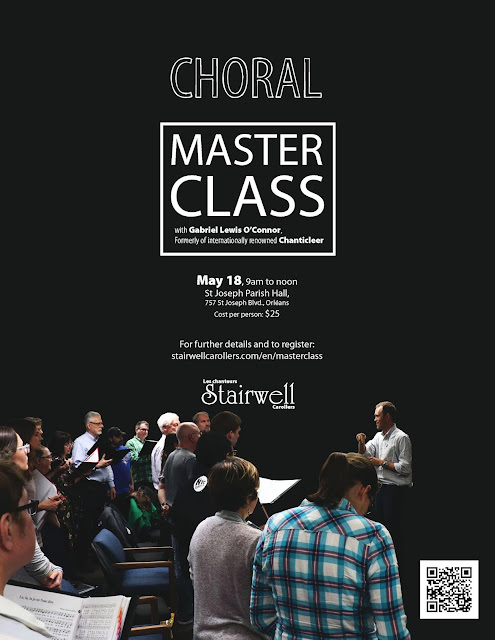 The Stairwell Carollers are ranked alongside the best of Ontario choirs, winning both the 2010 and 2013 Ontario Music Festival Association competitions. A registered Canadian charity, we also help out local charities with our concert, CD, and cookbook sales.